The iconoclast Council of Hieria was a Christian council of 754 which viewed itself as ecumenical, but was later rejected by the medieval Catholic Church (what would later fracture into the Eastern Orthodox and Roman Catholic communions). It was summoned by the Byzantine, Eastern Roman Emperor Constantine V in 754 in the palace of Hieria opposite Constantinople. 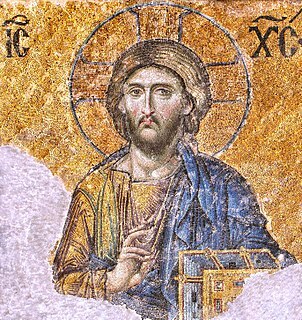 The council supported the emperor's iconoclast position in the Byzantine iconoclasm controversy, condemning the spiritual and liturgical use of iconography as heretical. Christianity is a religion based on the life and teachings of Jesus of Nazareth, as described in the New Testament. Its adherents, known as Christians, believe that Jesus Christ is the Son of God and savior of all people, whose coming as the Messiah was prophesied in the Old Testament. The term "Great Church" is a term of the historiography of early Christianity describing its rapid growth and structural development 180–313 AD and its claim to represent Christianity within the Roman Empire. The term is primarily associated with the Roman Catholic account of the history of Christian theology, but is also used by non-Catholic historians. Opponents of the council described it as the Mock Synod of Constantinople or the Headless Council because no patriarchs or representatives of the five great patriarchates were present: the see of Constantinople was vacant; Antioch, Jerusalem and Alexandria were under Islamic dominion; while Rome was not asked to participate. Its rulings were anathematized at the Lateran Council of 769 before being overturned almost entirely by the Second Council of Nicaea in 787, which upheld the orthodoxy of and endorsed the veneration of holy images. Pentarchy is a model of Church organization historically championed in the Eastern Orthodox Church. It found its fullest expression in the laws of Emperor Justinian I of the Byzantine Empire. In the model, the Christian church is governed by the heads (patriarchs) of the five major episcopal sees of the Roman Empire: Rome, Constantinople, Alexandria, Antioch, and Jerusalem. The Synod of Elvira was an ecclesiastical synod held at Elvira in the Roman province of Hispania Baetica, now Granada in southern Spain. Its date has not been exactly determined but is believed to be in the first quarter of the fourth century, approximately 305–6. It was one of three councils, together with the Synod of Arles (314) and the Synod of Ancyra, that first approached the character of general councils and prepared the way for the first ecumenical council. It was attended by nineteen bishops and twenty-six presbyters, mostly resident in Baetica. Deacons and laymen were also present. Eighty-one canons are recorded, although it is believed that many were added at later dates. All concern order, discipline and conduct among the Christian community. Canon 36, forbidding the use of images in churches, became a bone of contention between Catholic and Protestant scholars after the Protestant Reformation. Aniconism is the absence of material representations of the natural and supernatural world in various cultures, particularly in the monotheistic Abrahamic religions. This ban may extend from only God and deities to saint characters, all living beings, and everything that exists. The phenomenon is generally codified by the religious traditions and as such becomes a taboo. When enforced by the physical destruction of images, aniconism becomes iconoclasm. 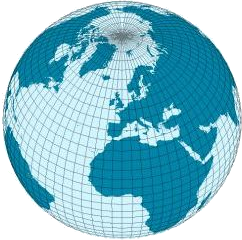 The word itself derives from Greek εικων 'image' with the negative prefix an- and the suffix -ism. After the later triumph of the Iconodules, this council became known as a robber council, i.e. as uncanonical. Latrocinium was a war not preceded by a formal declaration of war as understood in Roman law; thus guerrilla warfare conducted against Rome was a form of latrocinium. It is typically translated into English as "banditry" or "brigandage", but in antiquity encompassed a wider range of subversive or anti-authoritarian actions, especially slave rebellions organized under charismatic leaders. In designating acts of violence that have ideological motives instead of or in addition to material gain, the modern distinction between terrorism and war may be a more illuminating comparison for the 21st century. The Greek term was leisteia; Plato and Aristotle regarded banditry as a way of life, like fishing or hunting. 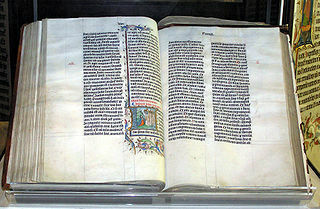 A biblical canon or canon of scripture is a set of texts which a particular religious community regards as authoritative scripture. The English word "canon" comes from the Greek κανών, meaning "rule" or "measuring stick". Christians became the first to use the term in reference to scripture, but Eugene Ulrich regards the idea as Jewish. Edward J. Martin writes,  "On the ecumenical character of the Council there are graver doubts. Its president was Theodosius, archbishop of Ephesus, son of the Emperor Apsimar. He was supported by Sisinnius, bishop of Perga, also known as Pastillas, and by Basil of Antioch in Pisidia, styled Tricaccabus. Not a single Patriarch was present. The see of Constantinople was vacant. Whether the Pope and the Patriarchs of Alexandria, Antioch, and Jerusalem were invited or not is unknown. They were not present either in person or by deputy. The Council of Nicaea [II] considered this was a serious flaw in the legitimacy of the Council. 'It had not the co-operation of the Roman Pope of the period nor of his clergy, either by representative or by encyclical letter, as the law of Councils requires.' The Life of Stephen borrows this objection from the Acts and embroiders it to suit the spirit of the age of Theodore. It had not the approval of the Pope of Rome, although the modern day Catholic theologians assert that there is a canon that no ecclesiastical measures may be passed without the Pope.' The absence of the other Patriarchs is then noticed." 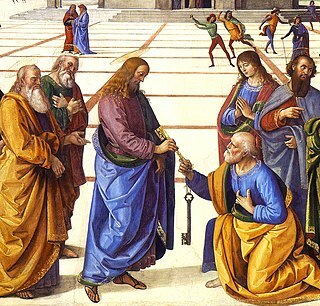 This is a Roman argument: the Eastern Churches do not see the approval of the Pope as obligatory for ecumenical councils, and the patriarchs of Alexandria, Antioch, and Jerusalem did not receive invitations to the subsequent second Council of Nicaea either. 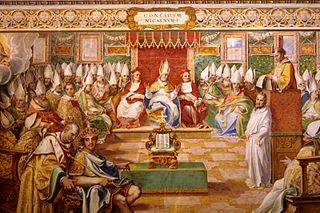 The Second Council of Nicaea is recognized as the last of the first seven ecumenical councils by the Eastern Orthodox Church and the Roman Catholic Church. In addition, it is also recognized as such by the Old Catholics, the Anglican Communion and others. Protestant opinions on it are varied. The Third Council of Constantinople, counted as the Sixth Ecumenical Council by the Eastern Orthodox and Catholic Churches, as well by certain other Western Churches, met in 680/681 and condemned monoenergism and monothelitism as heretical and defined Jesus Christ as having two energies and two wills. 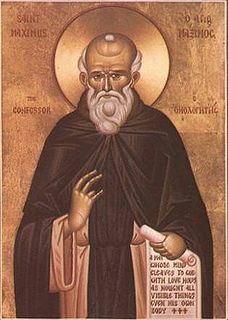 Patriarch of Antioch is a traditional title held by the Bishop of Antioch As the traditional "overseer" of the first gentile Christian community, the position has been of prime importance in the church from its earliest period. This diocese is one of the few for which the names of its bishops from the apostolic beginnings have been preserved. Today five churches use the title of Patriarch of Antioch: the Syriac Orthodox Church, the Greek Orthodox Church of Antioch, the Syriac Catholic Church, the Melkite Greek Catholic Church, and the Maronite Church. Historically, there has also been a Latin Patriarch of Antioch. 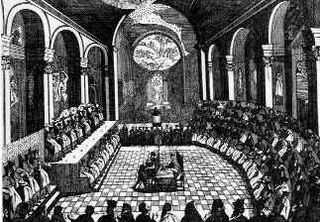 The Lateran Council of 649 was a synod held in the Basilica of St. John Lateran to condemn Monothelitism, a Christology espoused by many Eastern Christians. 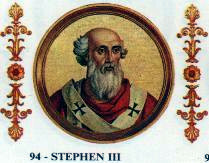 The Council did not achieve ecumenical status in either East or West, but represented the first attempt of a pope to convene an ecumenical council independent of the Roman emperor.